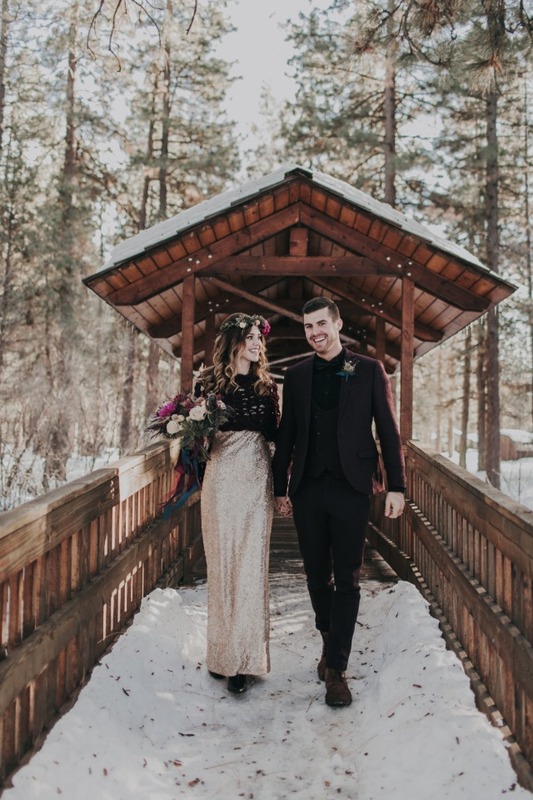 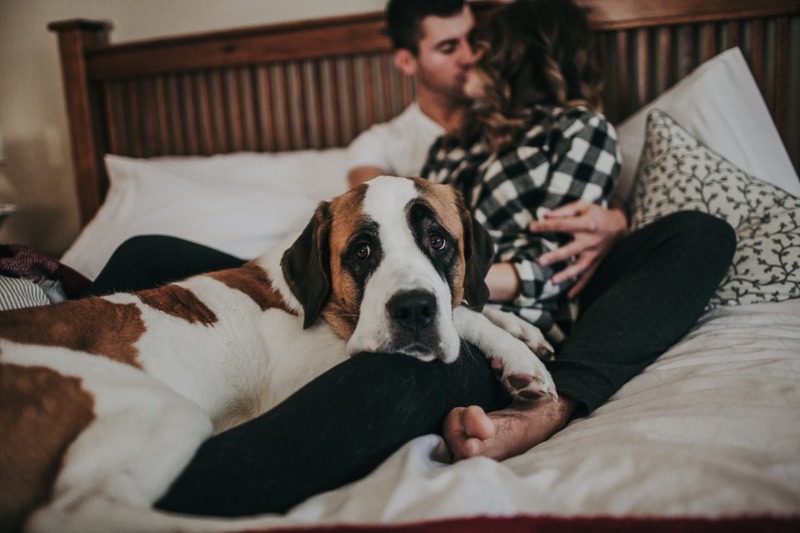 Ice and snow may seem like the least inviting elements to say "I do" in, but a secluded snow covered cabin in the mountains of Oregon is a perfect place to snuggle up to the one you just married. 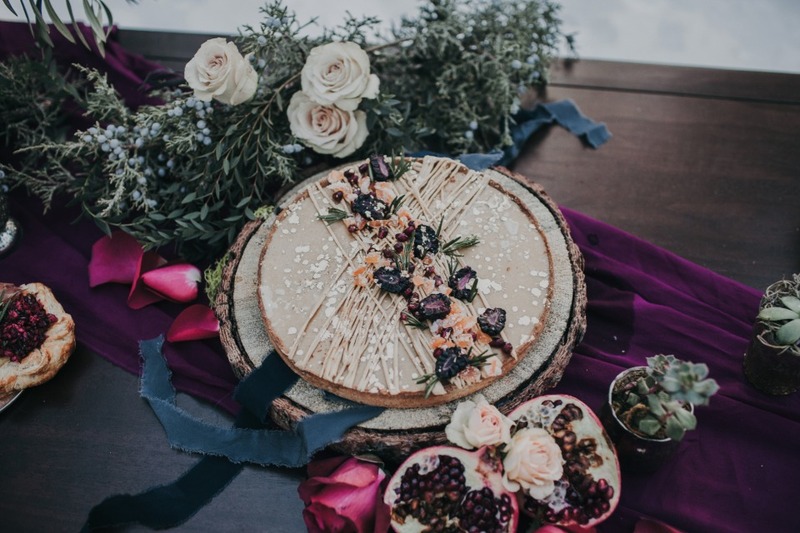 Brilliant Wedding Co. beautifully styled this berry themed day for two and we are salivating just looking at it! 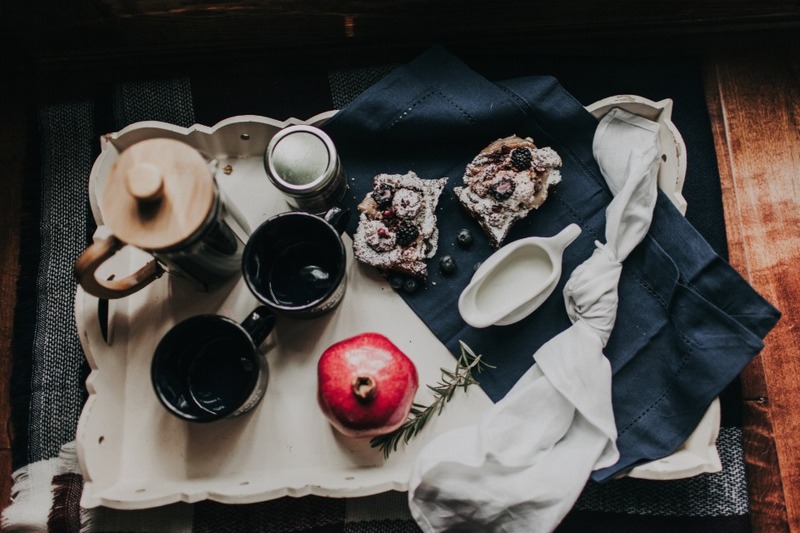 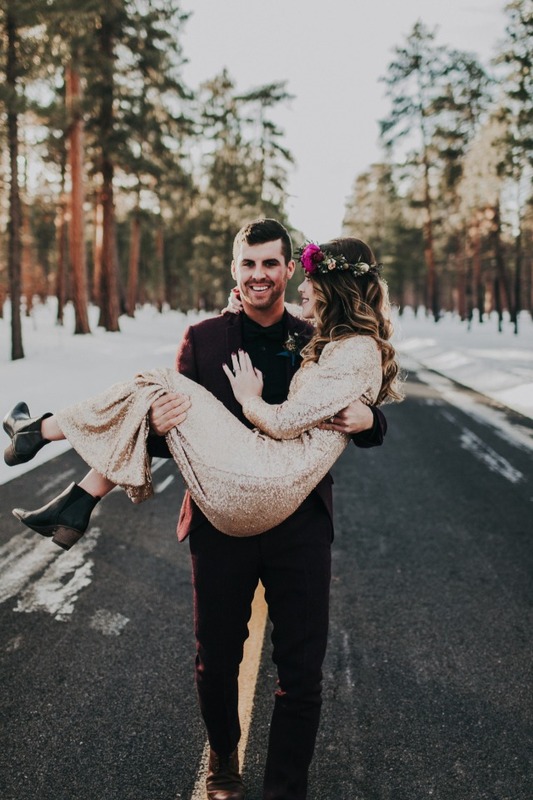 From the grooms deep wine colored suit to the sweet morning berry crumble this couple shared in bed we are hooked and want to share a similar day with our honey now! 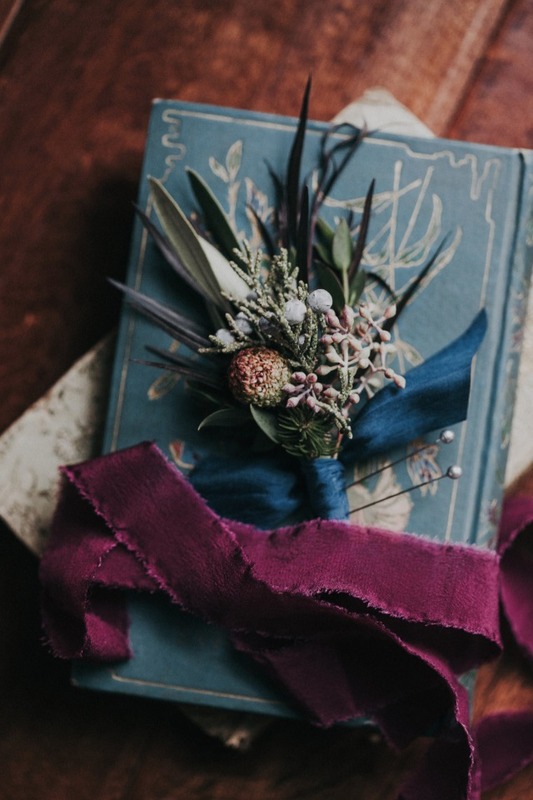 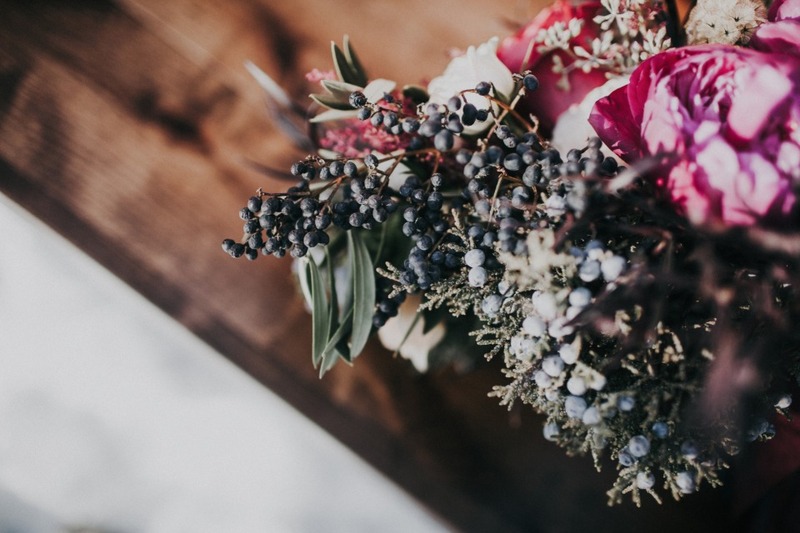 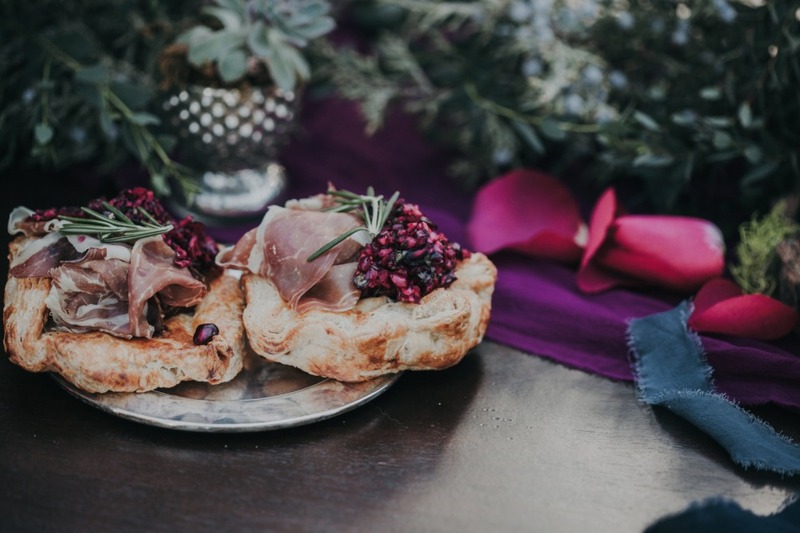 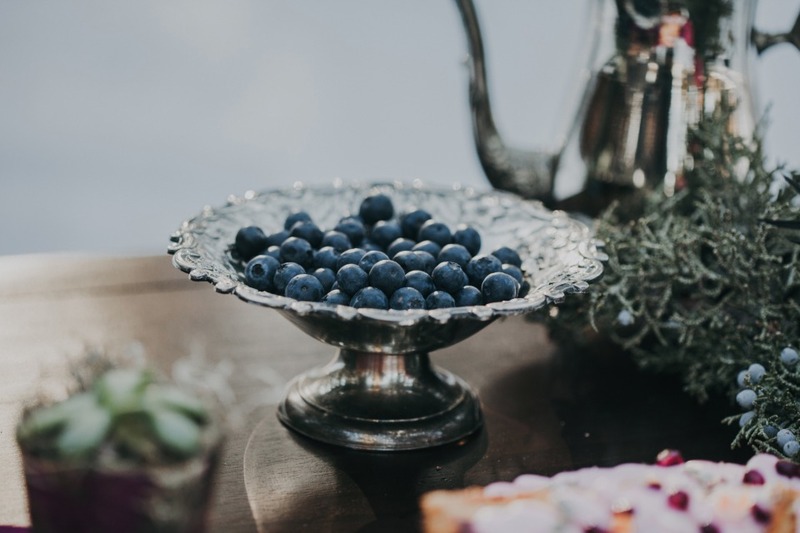 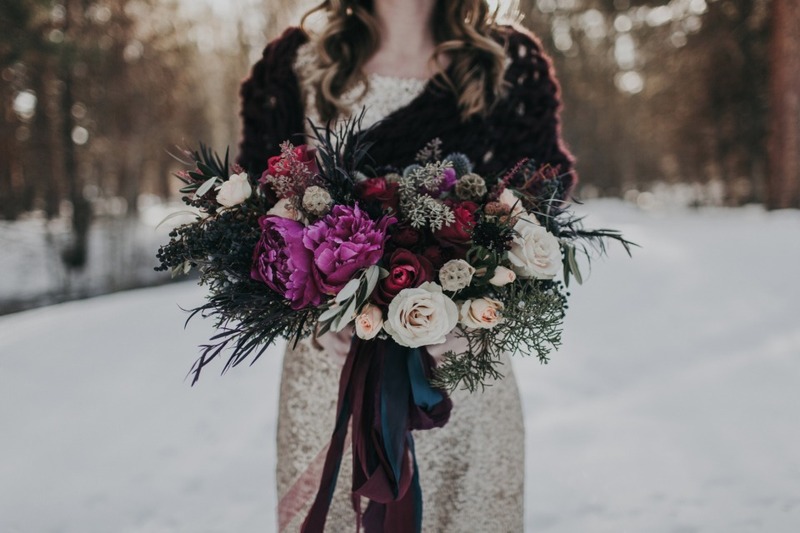 Are you yearning for more berry-licious wedding and elopement ideas? 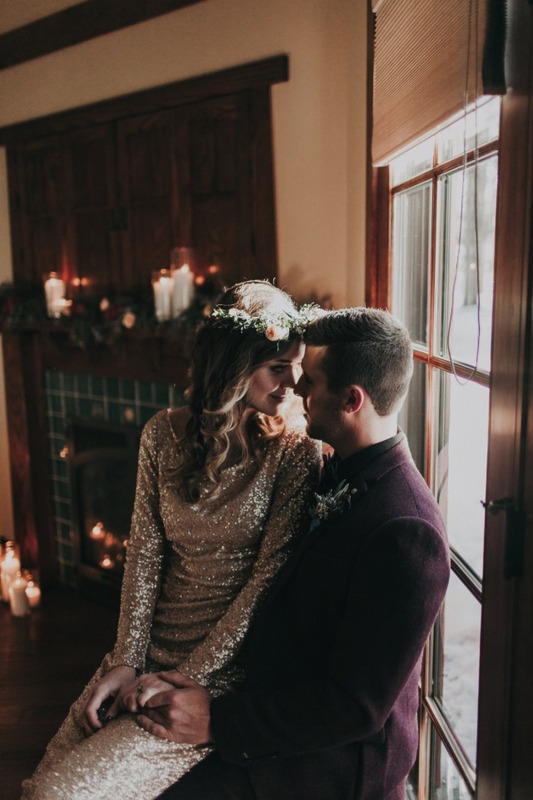 We've got you covered, Rachel Cadman Photography provided us with oodles of images from this inspiration, so be sure to check out even more of this talented teams work in the full gallery here! 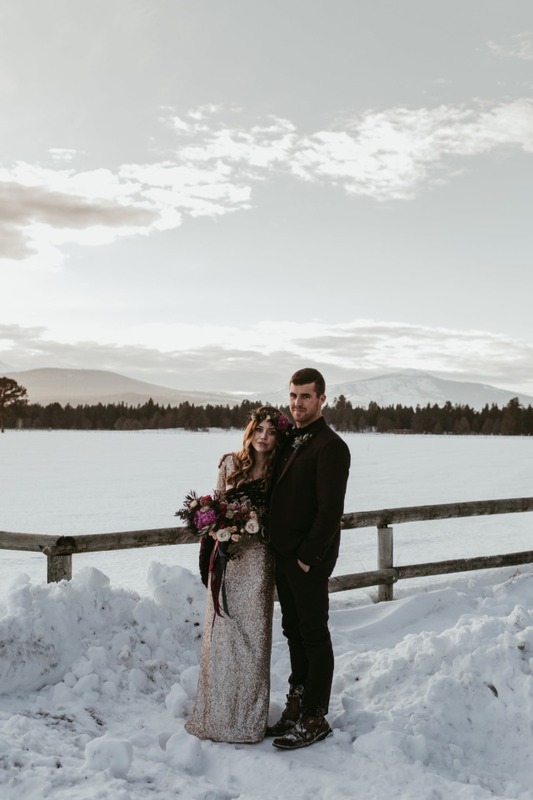 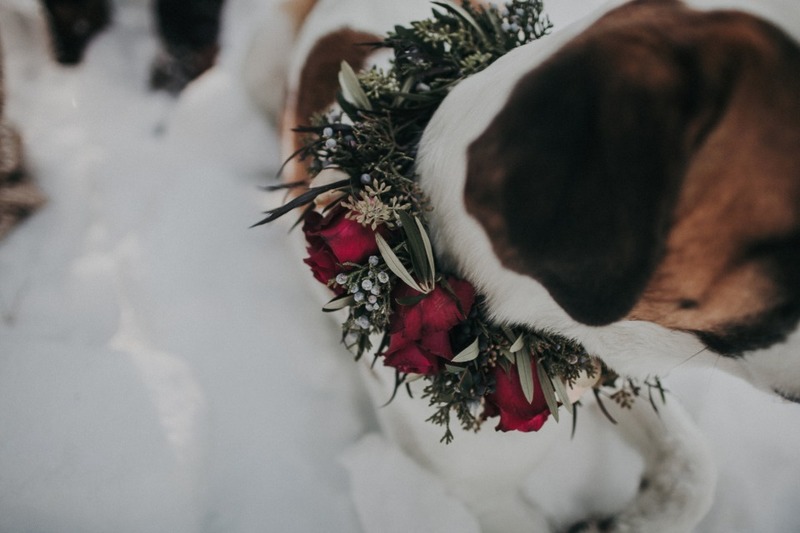 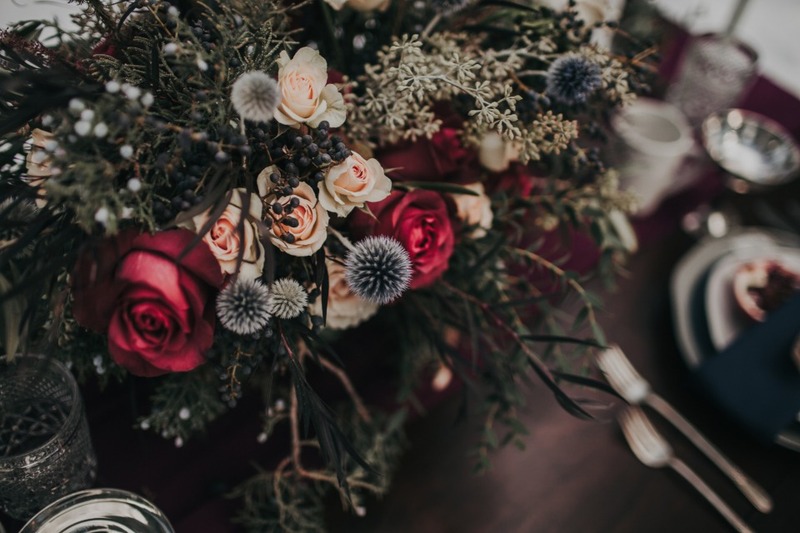 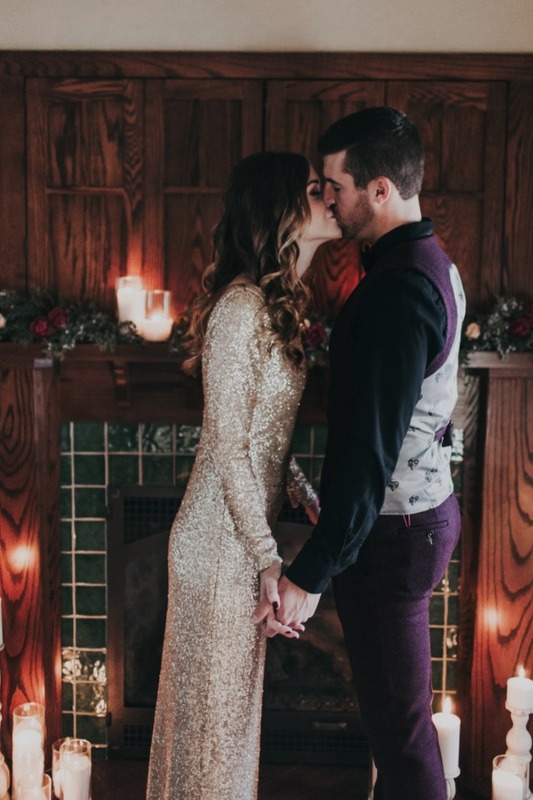 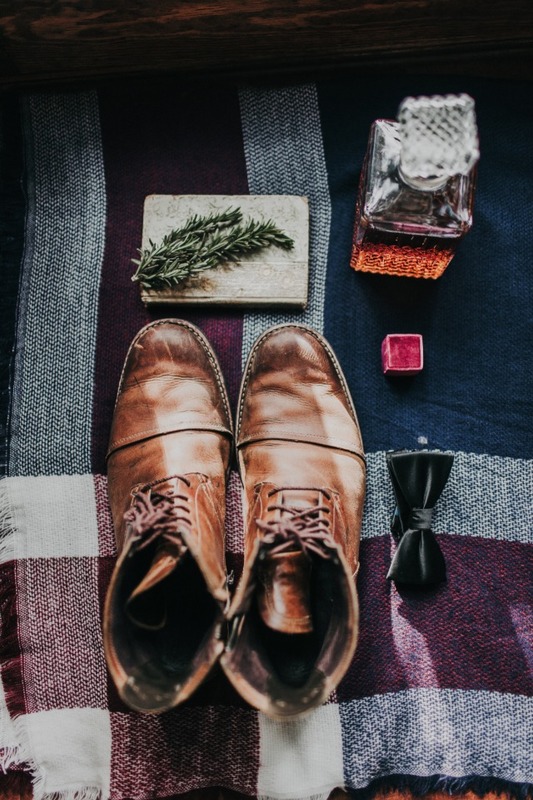 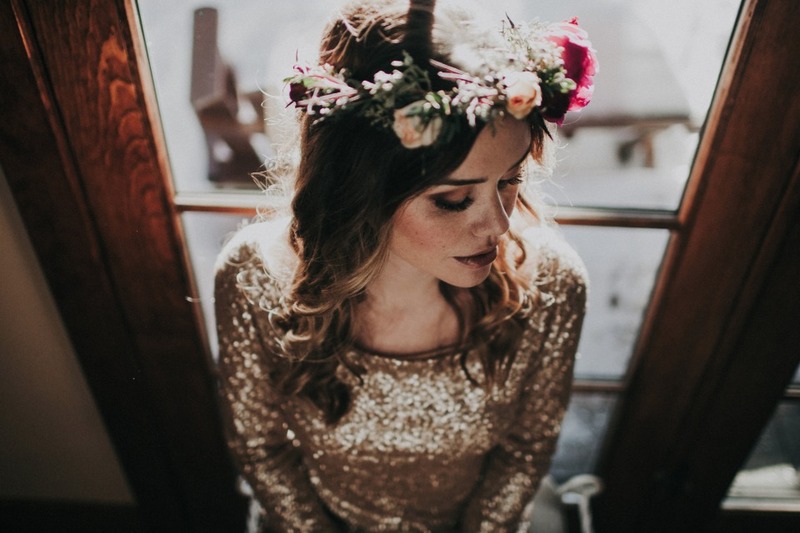 If this winter elopement gave you the all over shivers in the good way then we have some awesomely tingle inducing winter wedding ideas for you to see. 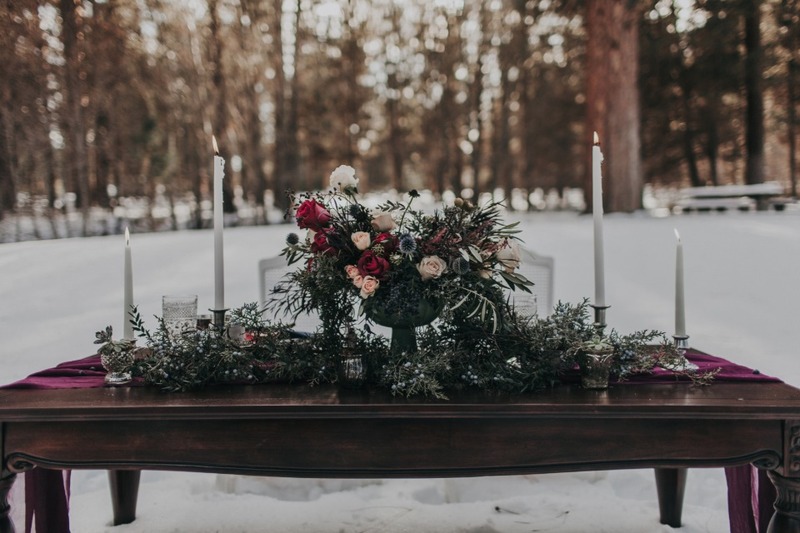 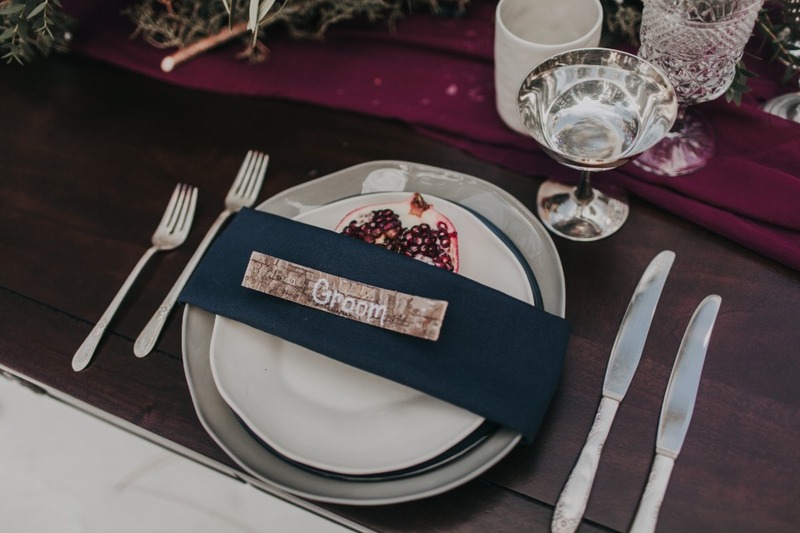 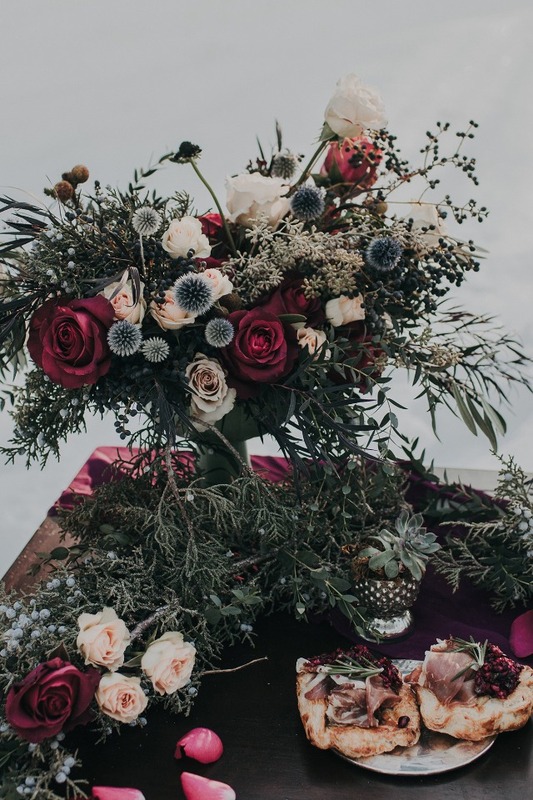 One of our favorites is this rustic red and black wedding in Mammoth Lakes, California! 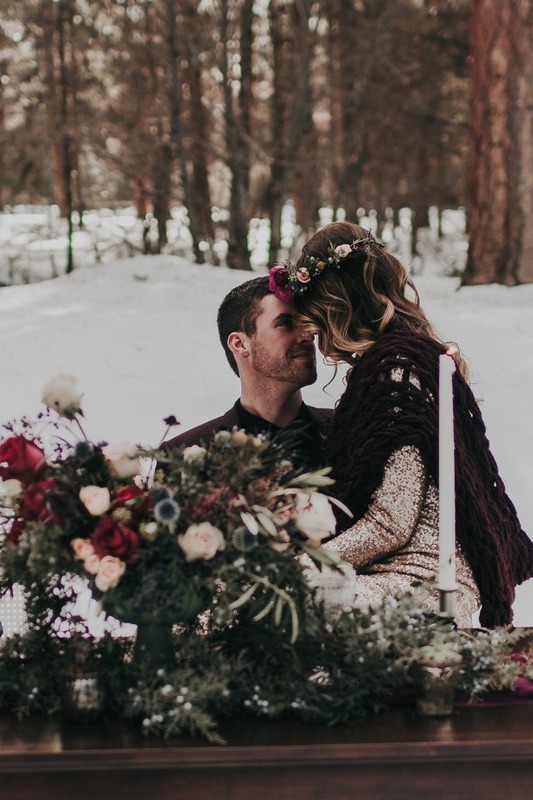 So click here to find more snowy winter wedding ideas! 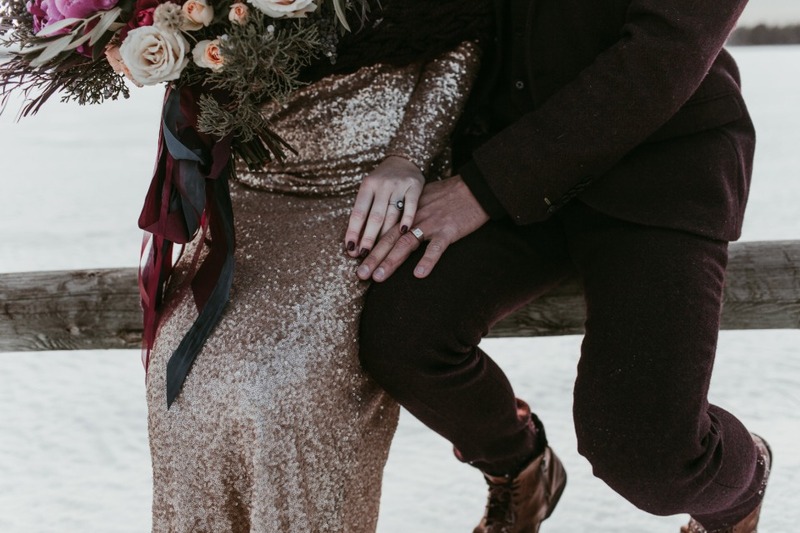 Why Wed When You Can Elope!? 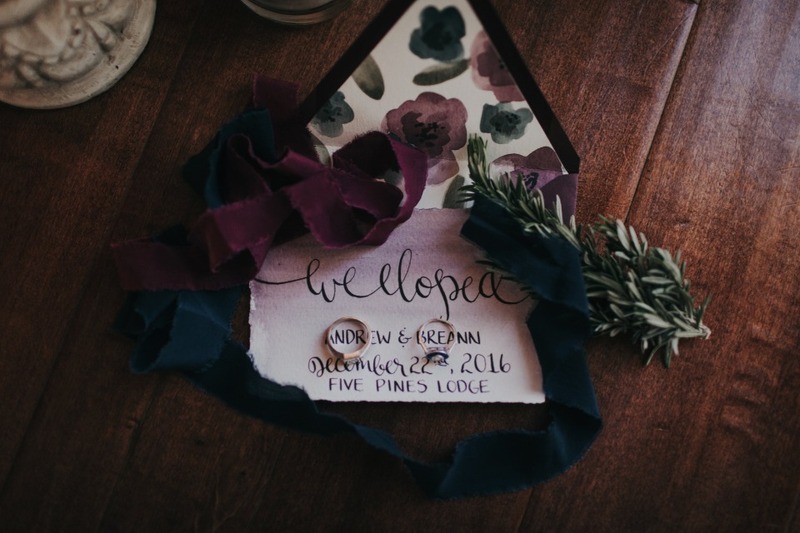 There is something highly romantic and inspiring about elopements. 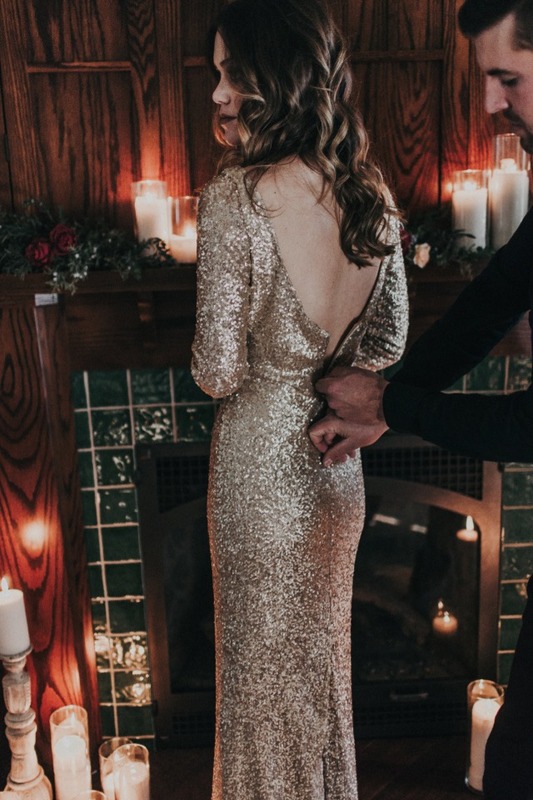 The passion to go out and say "I do" right now and to hell with all the waiting about and planning is intensely satisfying. 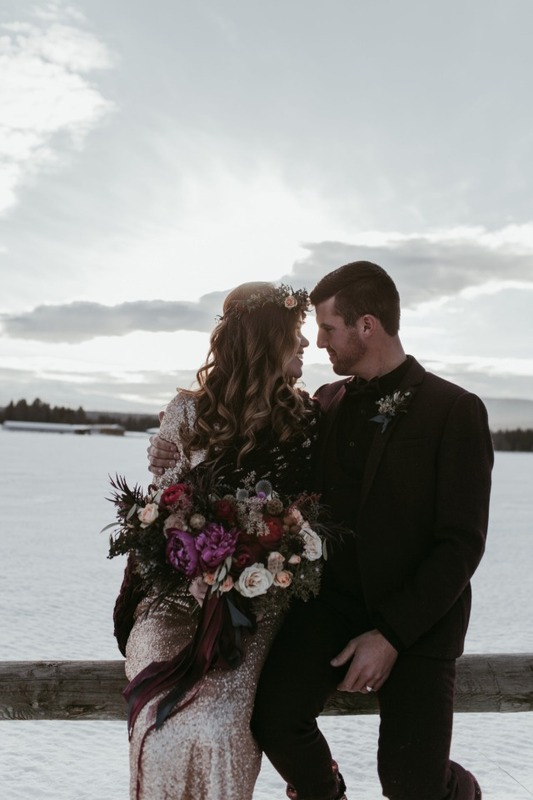 Plus with just you, your love and the photographer there are bound to be some absolutely stunning photos of your big day for two. 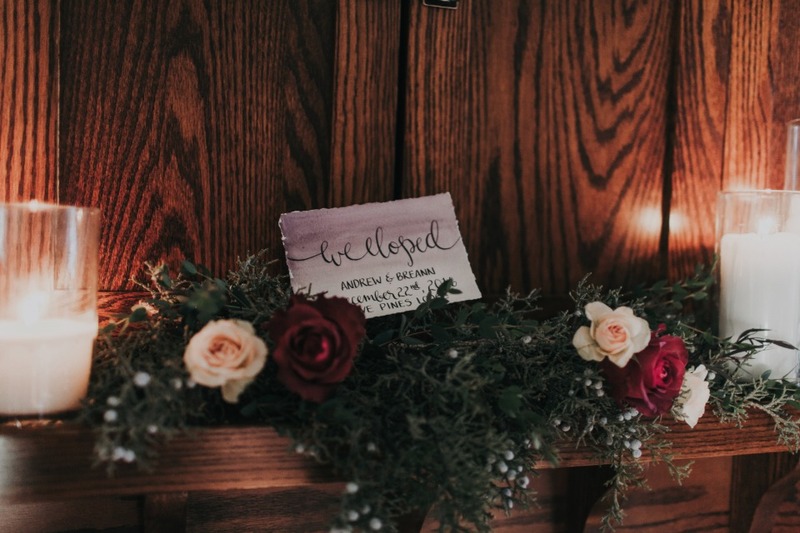 If you are thinking this elopement idea is sounding better and better let us help your make that decision. 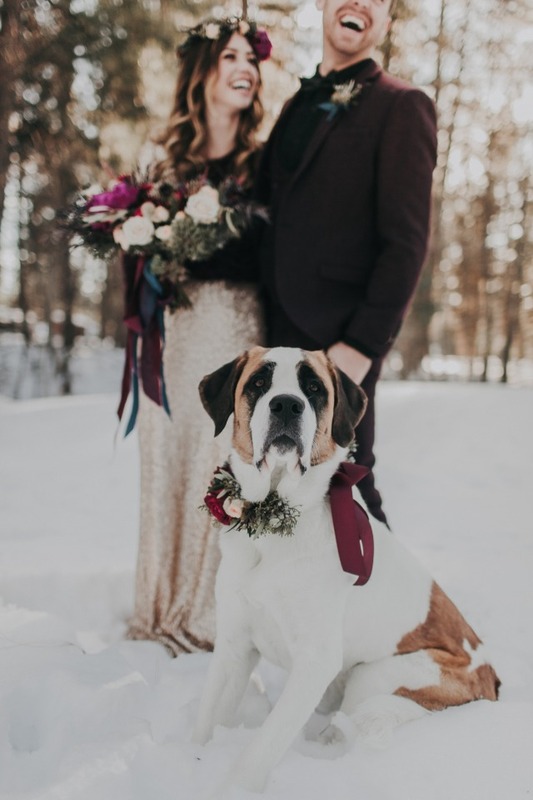 Click here to find even more romantic, quirky, and some outright fun elopements that we have had the pleasure of featuring over the years. 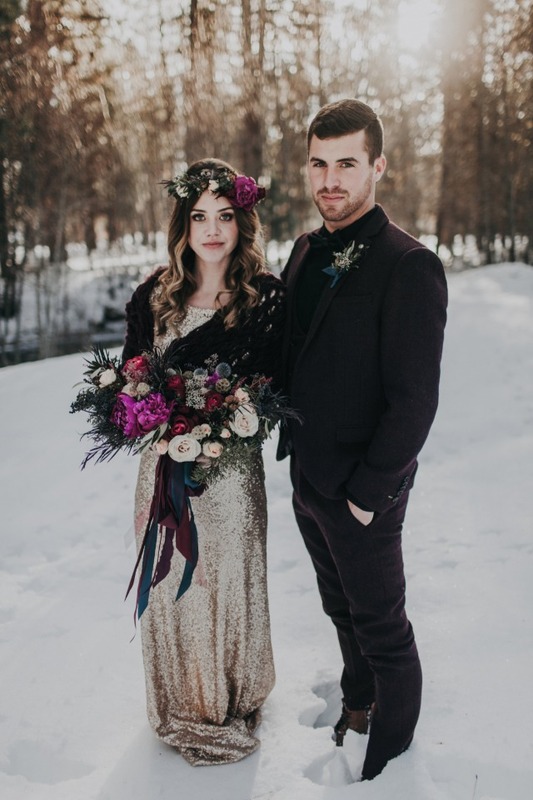 But first be sure to check out the full gallery of this beautiful wintery wedding day! 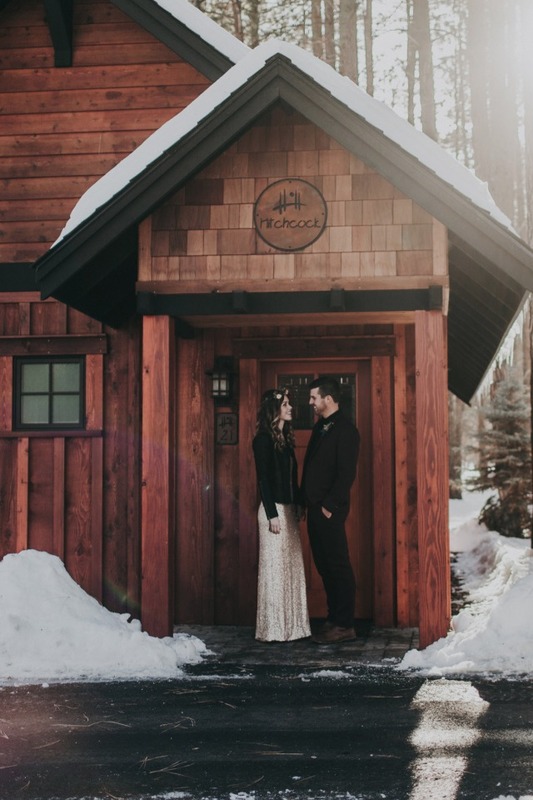 Honestly a warm and cozy snow covered cabin sounds like heaven right now. 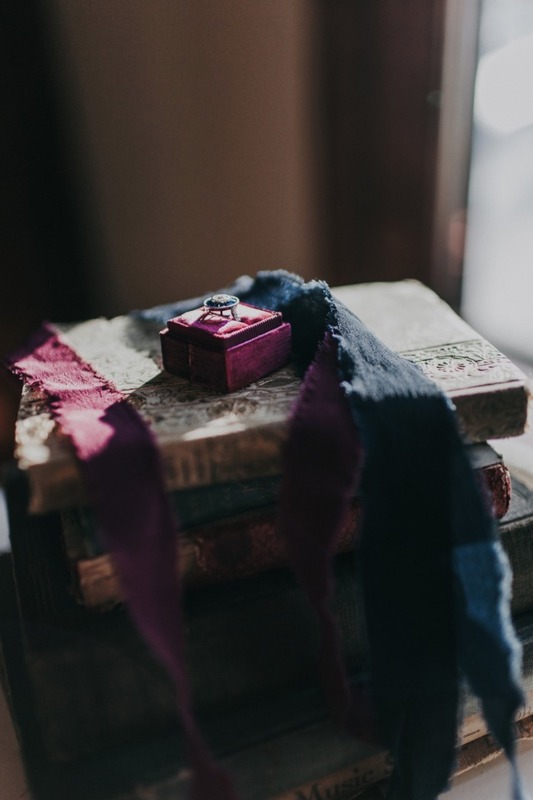 Rentals and Transportation Heirlooms & Co.